The biggest obstacle standing in the way of prioritized, coordinated, effective action against cataclysmic climate instability over the coming years and decades is the US Republican party. These individuals and their ideological followers stand in defiance of reason, science and a global consensus on the need for urgent action in the name of protecting the fortunes of their patrons. 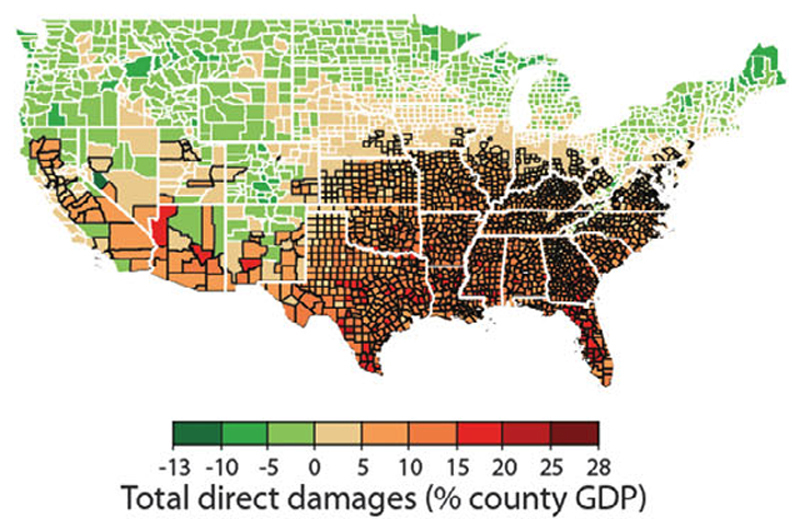 According to the analysis, published in the journal Science, “the combined value of market and nonmarket damage across analyzed sectors—agriculture, crime, coastal storms, energy, human mortality, and labor—increases quadratically in global mean temperature, costing roughly 1.2% of gross domestic product per +1°C on average.” Here in the US, today, that would be equivalent to $223 billion or about 37% of last year’s military budget. RP Siegel, author and inventor, shines a powerful light on numerous environmental and technological topics. He has been published in business and technical journals and has written three books. His third, co-authored with Roger Saillant, is Vapor Trails, an eco-thriller that is being adapted for the big screen. RP is a professional engineer – and a prolific inventor, with 50 patents, numerous awards, and several commercial products. He is president of Rain Mountain LLC and is an active environmental advocate in his hometown of Rochester, N.Y. In addition to Justmeans, he writes for Triple Pundit, ThomasNet News, and Energy Viewpoints, occasionally contributing to Mechanical Engineering, Strategy + Business, and Huffington Post.